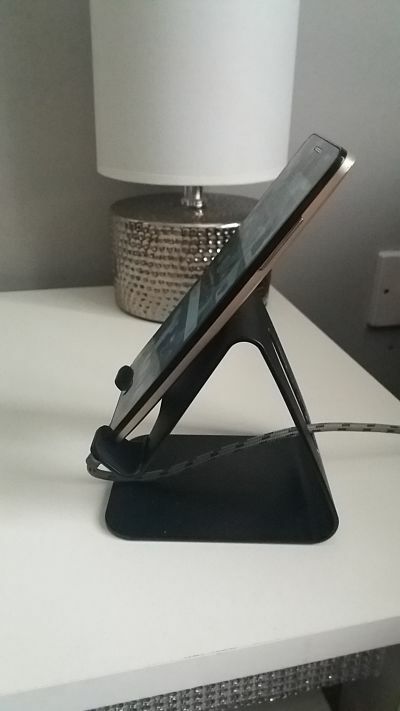 I wanted something to rest my phone or tablet on when i needed to charge it as i do a lot of work on my tablet and use my phone a lot , I needed something that looked good and stylish , I found this one and liked what i was reading so thought id try it and I must say this is really smart looking . 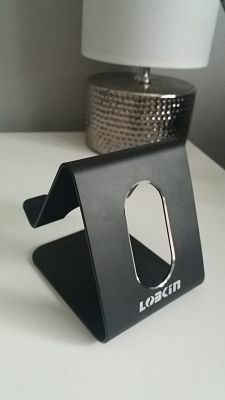 The stand is tough metal with scratch resistance y which i need as i do have a tendency to be heavy handed with my stuff. 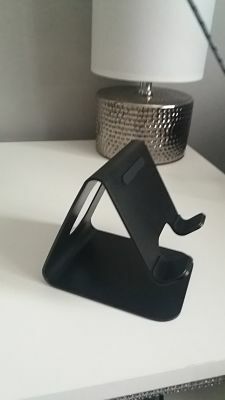 This has little grip or pads to help protect the phone , I have an S7 my husband has an iphone 6 and my daughter has a J5 these all work on portrait or landscape and we use all our different size tablets and again portrait and landscape work well . My daughter pinches this so she can Skype or face-time her friends while doing her homework and my husband likes to use this as he likes to watch his boring documentaries about trains on youtube. 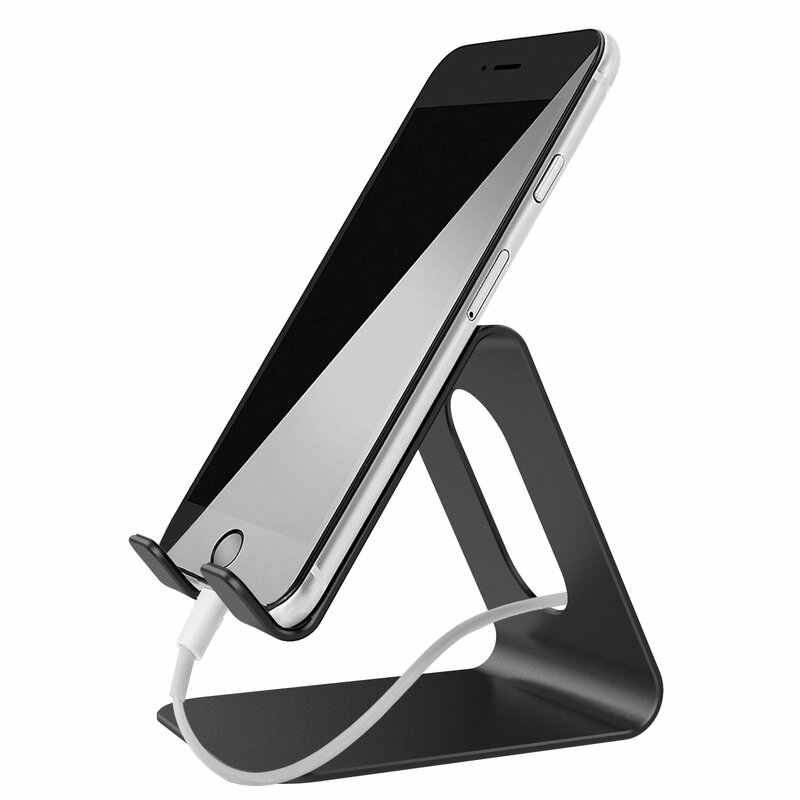 This has 4 little pads underneath to protect the table from the stand and the same for the phone , 2 underneath and one at the top where the stand meets your device . Around the hole I didn't find it sharp and silver around the hole making this even more stylish looking , also there is plenty of room left under the usb connector lead to the base you can easily fit your finger under.